Patients who choose some types of so-called natural therapies to treat early-stage cancer, instead of opting for recommended standard treatments such as surgery or chemotherapy, doubled their risk of a negative outcome, according to a study published earlier this year in the Journal of the National Cancer Institute. Compared to those receiving evidence-based medical treatments, breast cancer patients who used natural remedies fared the worst, followed by those with colon cancer and lung cancer. 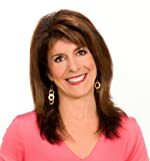 No scientific evidence has shown that nutrition therapy, acupuncture, naturopathic medicine, chiropractic care or any other natural therapy has a medicinal effect in definitively treating cancer or shrinking tumors. On the other hand, these therapies, when used purposefully and responsibly, have a role in a cancer patient’s journey. This newly revised and expanded 15-year anniversary edition includes chapters on nourishing foods that are best tolerated to ease common side effects such as nausea, sore mouth and throat, taste changes, neutropenia and weight loss. 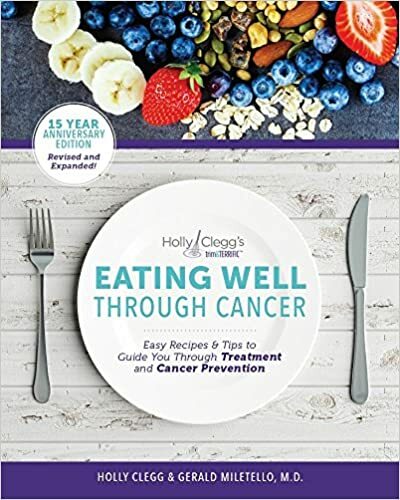 With easy everyday recipes using familiar ingredients, you’ll find this book an invaluable recipe resource for cancer prevention. Click on the book image to order from Amazon.com. Colon cancer is the third most common form of cancer in the United States. It is also the second deadliest cancer that affects both men and women. However, according to the U.S. Centers for Disease Control and Prevention, if everyone ages 50 or older had regular screenings, up to 60 percent of colon cancer deaths could be prevented. In fact, many cases of colon cancer can be completely prevented through a simple screening exam called colonoscopy.